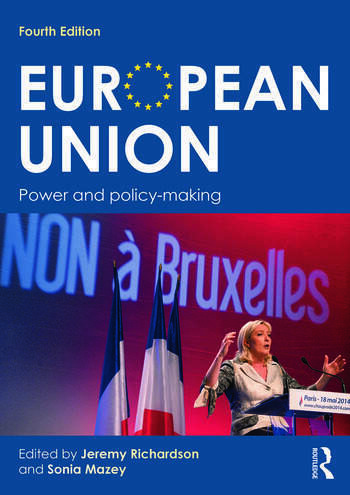 A key textbook for undergraduate and postgraduate students of contemporary European politics, European Union: Power and policy-making 4th edition offers a comprehensive and accessible analysis of the European Union policy process. Written by a distinguished group of international scholars, this new edition will also appeal to the worldwide community of researchers on the EU. New chapters on The Politics of Multispeed Europe, The Distribution of Power Among Institutions, EU Agencies, Covert Integration in the European Union, and Political Representation and Democracy in the EU. Jeremy Richardson is joined by a co-editor, Professor Sonia Mazey, for the fourth expanded edition of this highly regarded textbook on the EU.